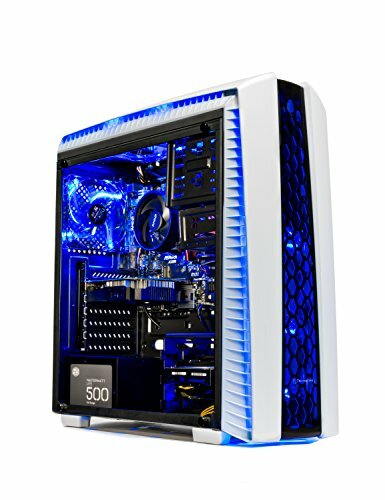 Check on Amazon at Amazon a strong 1080p machine without increasing the price. The system isn’t very cheap per se, but it gets a thumbs up for the performance, and its pricing undercuts much of the Pascal-bearing competition. 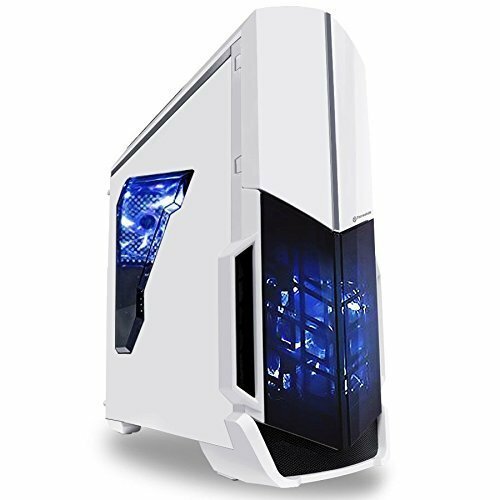 It features a seventh-generation Core i7 processor, 1TB SSHD FireCuda Hybrid drive and a Pascal-based Nvidia GeForce GTX graphics, all of which make it a valuable proposition in every angle. The STRIX GL703VD is –at least by gaming standards–not large and bulky like most of the competition. At 1-by-16.3-by-11 inches (HWD) and 6.7 pounds, it won’t take the least of desk space and is somewhat travel friendly as it can slide into a Bonvince 18.4″ Laptop Backpack, but it is still portable enough for a 17-inch gaming system. Both the aluminum lid and plastic cover on the base still have the metal finish, which might be quick to pick fingerprints and not easy to clean. It has the looks of a gaming laptop thanks to a black ROG metallic profile that has red accents, including the Republic of Gamers logo on its lid as well as the palm rest. The base is made of plastic and the lid aluminum, which is a nice balance for a gaming laptop that can be pushed to the core sometimes, thus the need of a stable design. The 17.3-inch FHD (1,920-by-1,080) resolution panel offers wide viewing angles of up to 160-degrees, but it still keeps the colors vibrant, and the images are sharp. The panel is very bright at up to 349 nits in the center, and the average luminance of the Asus GL753 is not much lower at 337 nits. The jump to 3K and 4K resolution in the gaming category is reserved for pricey systems like the MSI GS60 Ghost Pro 3K (2,880 by 1,620) and the MSI GS60 Ghost Pro 4K-238 (3,860 by 2,160). In fact, such high resolutions have remained a compromise for gaming systems, since these displays are much more demanding, and the performance is further held down by mobile graphics cards, so you’ll have to choose between size, resolution or performance, but the most important is to choose the best mix. Nvidia’s G-Sync technology isn’t supported here. On the GL753VD, you have a chiclet-style keyboard with a numeric keypad, which offers some decent key travel, at least for gaming standards. To that, add a responsive touchpad with two touch areas; the same we’ve seen in previous modes in the ROG line. Similarly, it maintains the familiar ROG logo on the lid and the curves and corners give the system a rugged look that is acceptable among most gamers. This laptop gets a standard selection of I/O ports, including: three USB 3.0 ports, one USB 3.1 Type C (gen 2)—doesn’t support Thunderbolt 3, an HDMI port, a miniDisplayPort – for hooking up to external monitors, an Ethernet jack, and mic-in, headphone-out, and line-out jacks, as well as an SD card reader. The system also features Bluetooth 4.1 and dual-band 802.11ac Wi-Fi for wireless connectivity, as well as an HD Web camera. Alongside the Pascal-based 4GB Nvidia GTX 1050 graphics card, the Strix GL703VD is equipped with a seventh-generation Intel Core i7-7700HQ chip, a quad-core chip based on the latest Kaby Lake architecture. Other specs include 16GB memory provided by two 8GB modules, but can take a maximum of 32GB. For storage, you have a 1TB SSHD FireCuda Hybrid drive, though you’ll find different configurations for the different variants of the same base model. Given the new graphics cards, though, it’s the 3D and gaming test results that are of most interest. The new notebook cards are meant to be very similar to their desktop counterparts for the first time, and this can be reflected on GPU scores. The 3DMark benchmarks point to relatively fast rendering on the gaming front, especially, when put side-by-side with its predecessors including the popular GTX 960M. The next faster models the GTX 1070 are GTX 1080 present an impressive experience of NVidia’s high-end chips that are bringing desktop performance to mobile devices. For gaming, you expect some solid frame rates per second, thanks to a combination of a strong CPU nand equally potent GPU. The GTX 1050 totes some solid frame rates per second (FPS) on most modern titles in HIGH settings including: The Witcher-28FPS, Fallout 4-42FPS, and Battlefield 1-47FPS. For a very reasonable price, you get a Kaby Lake processor and GTX 1050, making the ASUS ROG STRIX GL703VD-WB71 an attractive proposition in every inch. 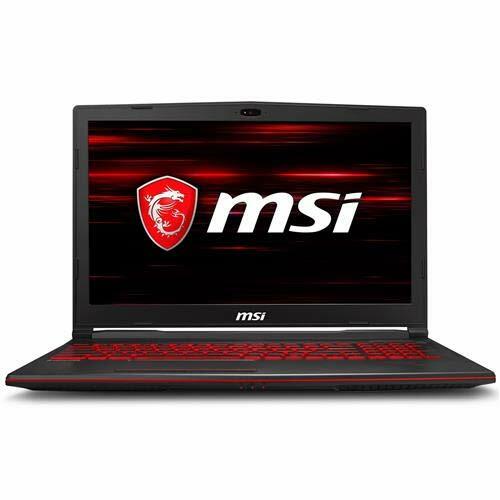 Its performance is at par with, or better than you’ll see from midrange gaming laptop that come in for far much more, many of which can’t match its performance. Here you get more than what you pay for, and it’s just hard to argue against performance that rivals what you get from even some latest gaming desktops. That said, the Acer Predator Helios 300 combines the power of Kaby Lake and Pascal graphics to deliver solid performance that doesn’t subvert expectations when it comes to the mid-range category. It remains our Top Pick midrange gaming laptop. The ASUS ROG STRIX GL703VD-WB71 combines a Pascal GTX 1050 card with a seventh-generation processor to deliver remarkable gaming performance for much less. It presents good value for anyone looking to play modern titles without spending so much.